Also known as Borne Béton, they are sculptural lights cast in raw concrete, designed by Le Corbusier in 1952 for the Unité d'Habitation housing complex in Marseille and Bhakra Dam and Sukhna Dam in Chandigarh, India. ICC restored three Le Corbusier concrete lamps from Chandigarh, India. Working with a French art collector, ICR and ICC were hired to design and implement a restoration and stabilization program for three original Le Corbusier sidewalk lamps installed during construction of Chandigarh, India. Once the restoration was complete, two of the lamps returned to the collection of the dealer and the other is on display at the Pompidou Center in Paris, France. ICR carried out a survey of the pieces and developed a conservation program. Samples of original concrete were analyzed and repair materials and cleaning methods were developed. 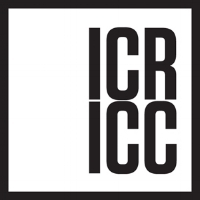 ICC implemented the conservation program. Any exposed steel was treated to help prevent corrosion and the original concrete was cleaned. A complicated wood formwork was designed to enable the casting of the large areas of loss. ICC then patched and cast all the areas of loss. A final patination with masonry stains that chemically bond to the concrete was applied to visually blend the new and historic concrete.